Pollination is one of the best examples of mutualism, a relationship between two different species in which both species benefit. Mutualisms are different from the many other relationships between organisms in which one or both species is harmed, such as competition, predation, or parasitism. Plants and pollinating insects like bees and butterflies share a mutually beneficial relationship. Pollinators visit flowers to obtain nectar and pollen to eat, and to feed to their offspring. 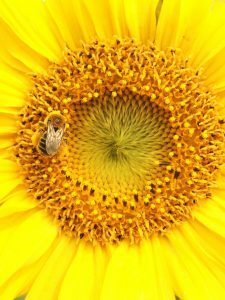 However, the pollinating insect is not simply stealing resources from the plant without giving anything in return. 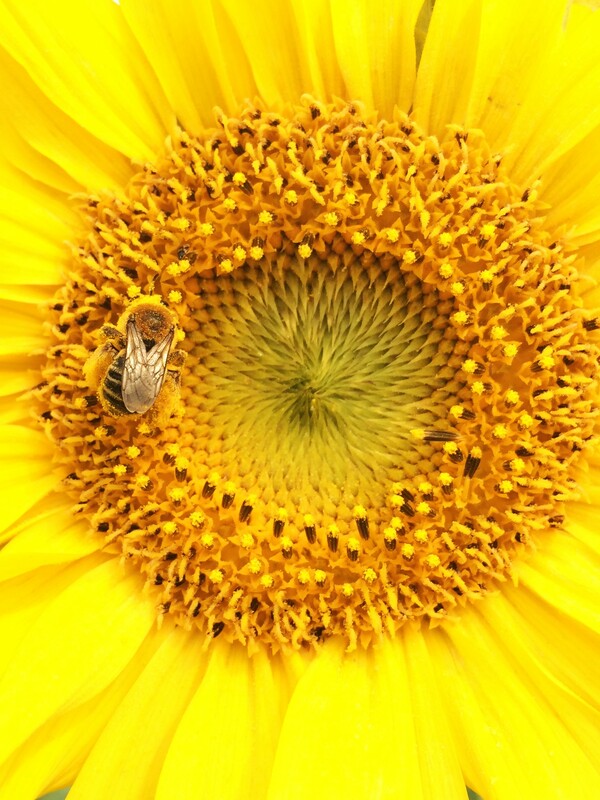 As the pollinator flies from flower to flower, it deposits pollen on the flowers’ stigmas. This act of transferring and depositing pollen on stigmas, known as pollination, is what enables flowering plants to reproduce. After successful pollination, the plant develops seeds, which will eventually become new plants. So both parties win in this relationship – pollinators win because they depend on plants for food and plants win because they are helped by pollinators for reproduction. There are many other types of mutualisms in the world. Ants and aphids team up together. Ants provide protection to vulnerable aphids, and in return, the aphids make and secrete honeydew, a sugary liquid that the ants consume. The oxpecker bird gets its food from rhinos and zebras, feeding on ticks and other parasites that live on their skin, while providing the service of parasite removal for the rhino or zebra. These examples are all considered service-resource mutualisms, in which one species provides a service such as pollination or protection, and the other provides a resource, such as food. While in some cases, one or both of the species can survive without the relationship, known as a facultative mutualism, other species are totally dependent on the mutualism, known as an obligate mutualism. Mutualisms are actually most often seen between organisms that are quite unrelated, such as plants and insects, or animals and bacteria, illustrating the many ways in which life in earth is interconnected. Learn more about the tuliptree scale, an insect pest with several mutualistic relationships here.